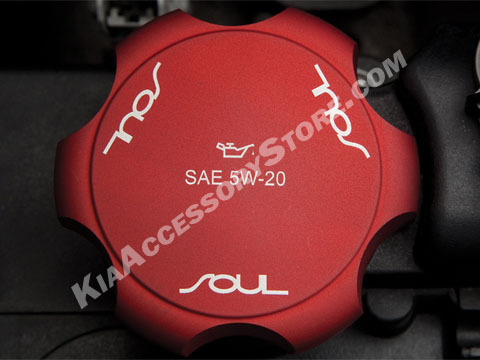 This Kia Aluminum Oil Cap adds style and refinement to the engine valve cover. This is not a cheap aluminum cover, this cap replaces your factory oil cap. Made from top quality aluminum to withstand high heat. Very nice, heavy duty and makes a nice heat sink. But for the price it better be.